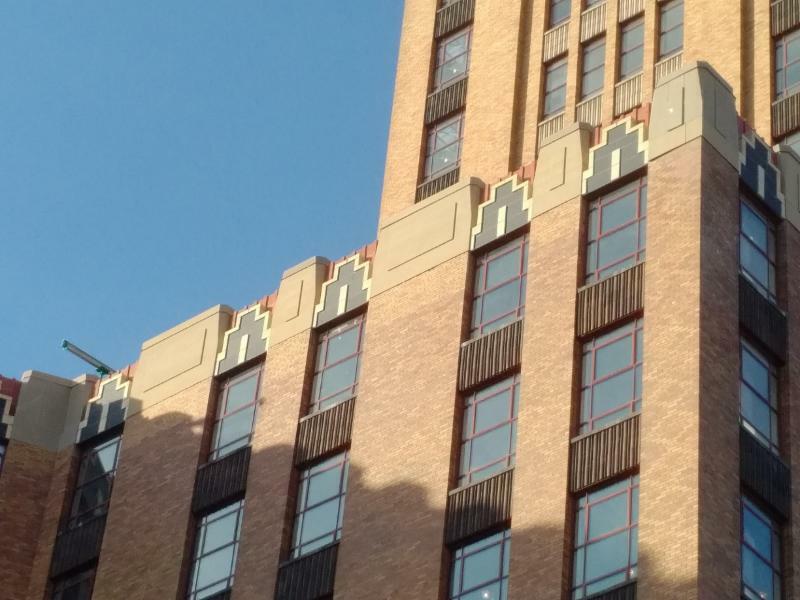 Architecture firm Thompson and Churchill had a vision when they designed the State Tower Building back in 1928. State Tower stands as the tallest building at 312 feet and 23 stories in the City of Syracuse. 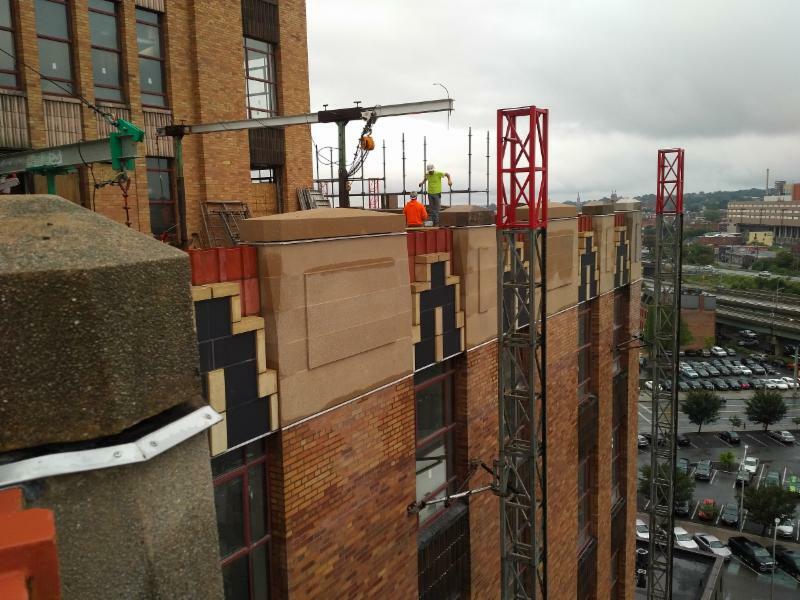 Ninety years later Lupini Construction had the task of preserving the essence of this nationally recognized historic building and bringing it back to life. The bones of the building consist of steel framing with a limestone, brick and terra-cotta façade. Over the years the building wasn’t properly maintained to preserve the integrity of the building causing damage throughout the exterior. When Pioneer Companies purchased the building in 2016, they were determined to rescue the building and transform the structure back to its original splendor. With the design direction of Holmes, King, Kallquist & Associates, the structural expertise and knowledge from Klepper, Hahn & Hyatt and the masonry craftsmanship delivered by Lupini Construction the project came to life and was finished under a very tight schedule. Upstate Masonry Institute had the opportunity to attend the ACI Awards Banquet and also sit with Scott Lupini of Lupini Construction out of Utica, New York to learn more about the project. All questions are answered by Scott Lupini. What were some of the obstacles in the State Tower project and how did you work around them? There were two obstacles that contributed to the progress of the project. 1. The unknown deterioration that we didn’t know about until the inner wall assembly was exposed. Since this process is always a wait and see we were very careful in our estimating, understanding that in cases of historic restoration due to the nature of the beast you have to give yourself a buffer for the unknown. Once all areas were exposed, everything was documented and communicated with the building owners. At that point we were able to really gauge what was ahead of us and how we were to take action. Communication is key when peeling layers back on a building. 2. Dealing with the daily commotion of downtown Syracuse, ie: pedestrians, building occupants and parking. We had to be mindful and skilled in material and debris handling. In order to do so, we held weekly safety meetings to enforce the importance of our surroundings and our neighbors. How did you manage the additional scope of the work and stay within schedule? In this case, it was all about planning. You must prepare for the worst and expect the best. By now we know, projects tend to fall behind schedule because of the unknown. We performed investigations ahead of the schedule so we all knew the extent of the project and could properly plan for additional manpower and materials. Were any innovative construction techniques, materials or equipment used to complete the State Tower project? If so, was it as helpful as anticipated? To reduce delivery time, we opted for a cast stone alternative to terra-cotta. By choosing this material it helped in the overall schedule. We were able to match the texture and color exactly.